Hello, lovelies! Summer is already here because last weekend, the sun was so unforgiving. I feel it in my skin; it was burning and I'm dark now. Haha! We went sightseeing of the famous places of the other countries in their replicas somewhere North. I have a warm tone so I easily get dark even in just a short time exposing under the sun. Anyway, I'm featuring ZAFUL again in this style post. Just click the photo below or the link below to see more photos and outfit details. 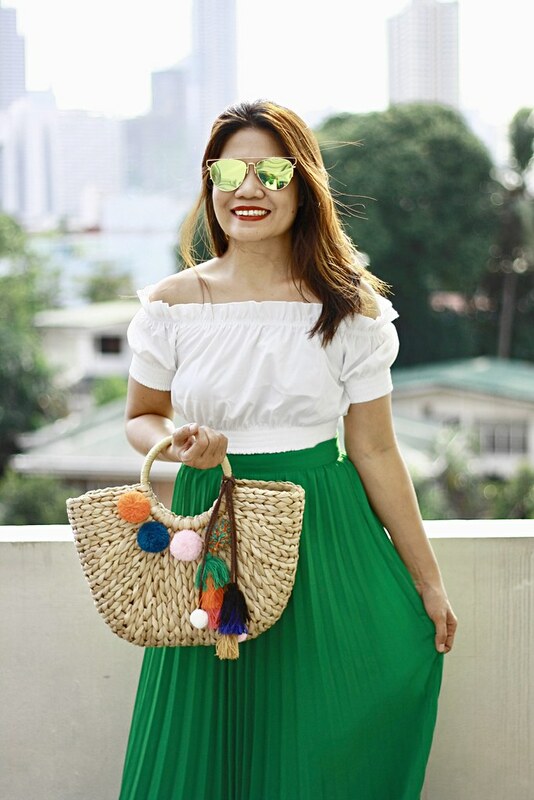 That Zaful ruffle hem crop blouse and long pleated green maxi-skirt look beautiful styled together and being worn by you - you look fabulous. 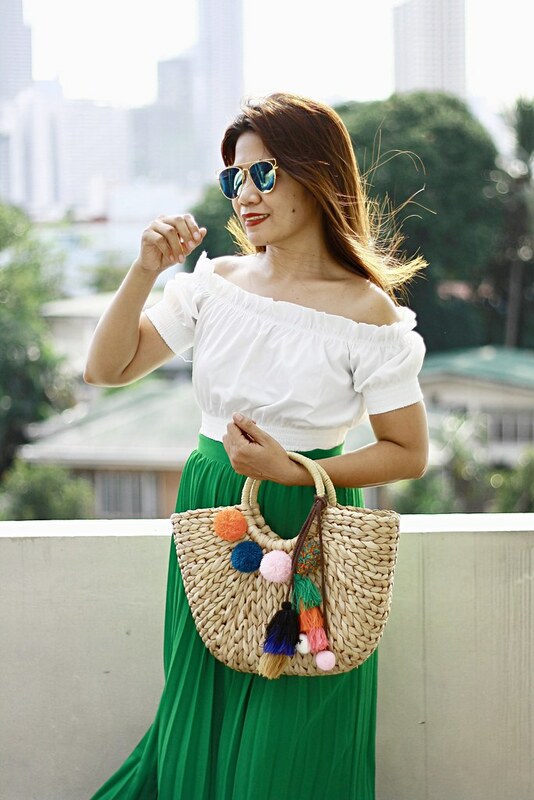 That very pretty and feminine Zaful ruffle hem crop blouse and the pleated green maxi-skirt look beautiful styled together! 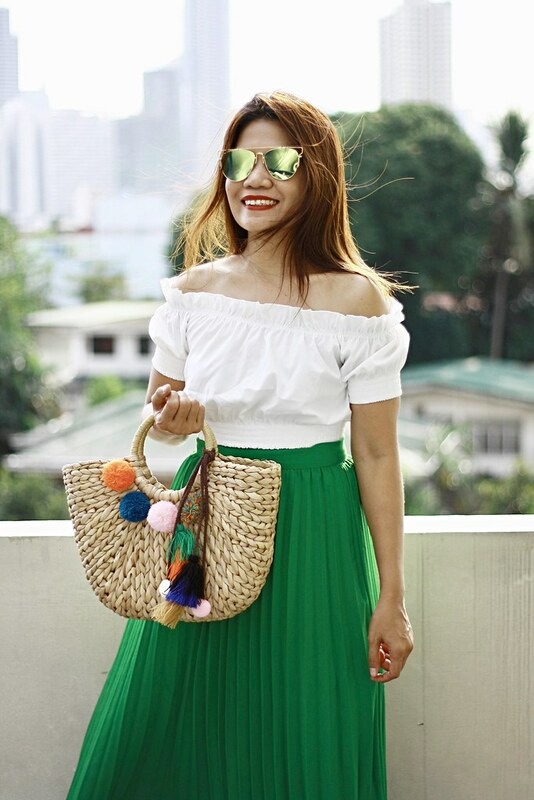 The pleated green skirt would be a lovely choice to wear on Saint Patrick's Day!